For most people, “.44 Magnum” brings a revolver to mind. In no small part, this is due to Clint Eastwood’s iconic depiction of Harry Callahan in the classic 70’s flicks Dirty Harry and Magnum Force (to which this bullet lends its name). However, “.44 Magnum” technically refers to the cartridges that the vigilante cop’s revolver fires, not the revolver itself. Of course, in the development of any two closely related technologies, a dance of coevolution takes place: the bullets adapt to the firearms, then the firearms adapt to the bullets. One cannot discuss the .44 Mag cartridges without speaking of the guns that chamber them. Not just revolvers. 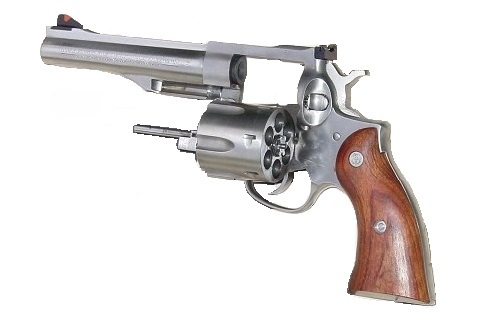 Although the .44 Magnum was first designed for wheel guns, it was quickly adapted for use in rifles and carbines. As this article will explore, .44 Magnums are among the most versatile bullets one can chamber. The .44 Mag round is generally prized for its stopping power and is known for its booming report. But they are more than just an intimidatingly large round suitable for a cinematic vigilante. 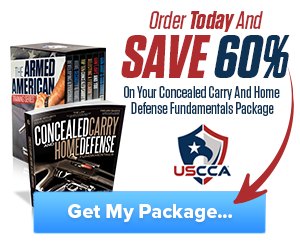 They can be adapted for everything from concealed carry to wild animal defense to home invasion prevention to small game hunting. We provide this .44 Magnum buyer’s guide for readers curious about firearms that chamber these rounds, as well as those who feel familiar with these cartridges but wish to know more about their history and cultural impact. 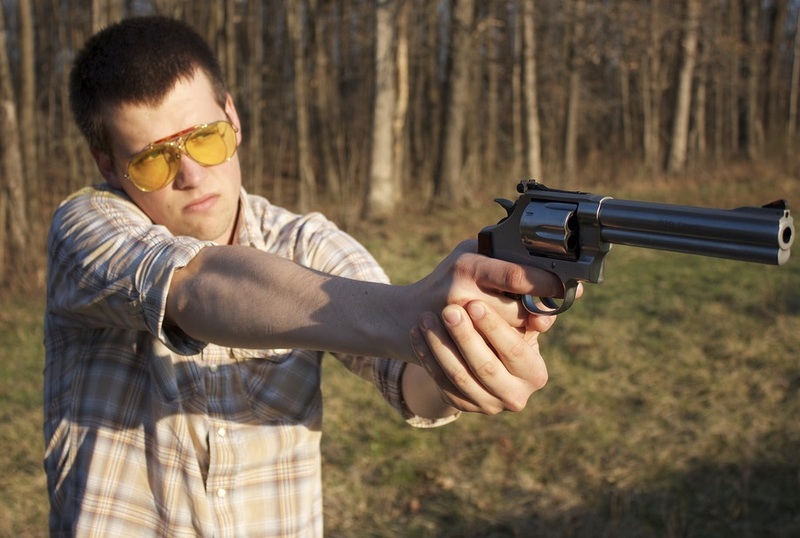 We’ll also provide you with our take on the best revolvers that fire .44 Mag rounds. So, scroll to the end if you’re just interested in what to buy. But for the rest of you, let’s dive into what makes a .44 magnum a .44 magnum. What is a .44 Magnum? The .44 Remington Magnum round (or “.44 Mag” for short) is more than just an overstuffed .44 special cartridge—although, that was how it began. Years of hand-loading the .44 special cartridges led Idaho rancher and firearms enthusiast Elmer Keith to encourage ammunition manufacturers to create the new high-pressure loading which we now know as the .44 Mag. Hunters had long been loading their .44 specials and other large-bore handgun cartridges with heavy bullets fired at a higher velocity to increase their performance. Remington and Smith & Wesson took Keith up on his challenge and created the .44 Mag, preventing many burst cylinders and saving hours of hand-loading ammunition for the hunters that really wanted that overstuffed edge. Today, the .44 Mag offers a wide range of versatility. This casing can be loaded with a vast array of bullet weights and powders allowing for fine-tuning of one’s recoil and velocity levels. With the right combination, you can transform your revolver that feels good to shoot into a revolver that feels perfect for shooting. If your gun fires .44 Mags, then it can fire lead round nose, full metal jacket, shotshell, and hollow point bullets. But the versatility doesn’t stop there if you’re firing a revolver. Because revolvers rounds are headspaced on the rim, revolvers designed to fire .45 Magnum can also chamber .44 Special cartridges as well as the shorter .44 Colt rounds. Not everyone has an extra drawer full of .44 Colts and Specials lying around, but in the apocalyptic scrounging-for-survival future that seems more and more likely, it’s nice to have a gun that has a much higher chance of firing the bullets your team has managed to scavenge from the ruins of a Wal-Mart. Revolvers never go out of style. They were cool when Clint Eastwood used one in 1971, and they’re cool today. 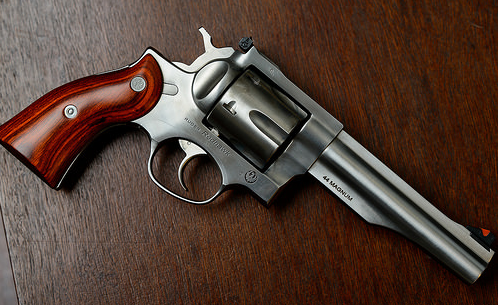 If you’re reading this guide because you’ve never bought a gun and are trying to decide which chambering is best to start with: a revolver that chambers .44 Magnum is a great option. You can fire a wider range of your buddy’s bullets, adapt a single gun for everything from home defense to pigeon hunting, and customize your cartridges to get just the right recoil and impact for your bullets. As with all things, there are positive and negative aspects to the .44 Magnum. Don’t let us convince you that the full story of this bullet is all just versatility, Idaho history, and speculation over the apocalyptic world to come. No, this cartridge does some things well and other things not so well. Yes, it is hard to hide our love for the .44 magnum, but as an act of good faith, let’s hit you with a negative aspect of these bullets: they’re loud. Infamously loud. Okay, so that’s not necessarily a turnoff for everyone—if it were, muscle cars and backpack helicopters wouldn’t exist—but there are definitely cases where one would want to fire their gun without clamping industrial strength ear muffs onto their head. So that now we know quite a bit about these interesting little rounds: which revolvers are they best suited to? Ultimately, this decision comes down to the needs and means of the buyer, but we’ve compiled our list of the three best magnum revolvers on the market. Everyone’s heard of the Blackhawk. Well, the Redhawk is the Blackhawk’s double-action cousin. Take everything great you know about the Blackhawk and make it double-action. A little easier to operate than the single-action alternative, the Redhawk boasts the Ruger’s transfer bar safety, replaceable sights, and a slot for adding a scope. We liked that this firearm was constructed with heavy steel and quality materials that can extend the life of the gun versus those that utilize elements like side plates in their design. The very gun of Dirty Harry himself! 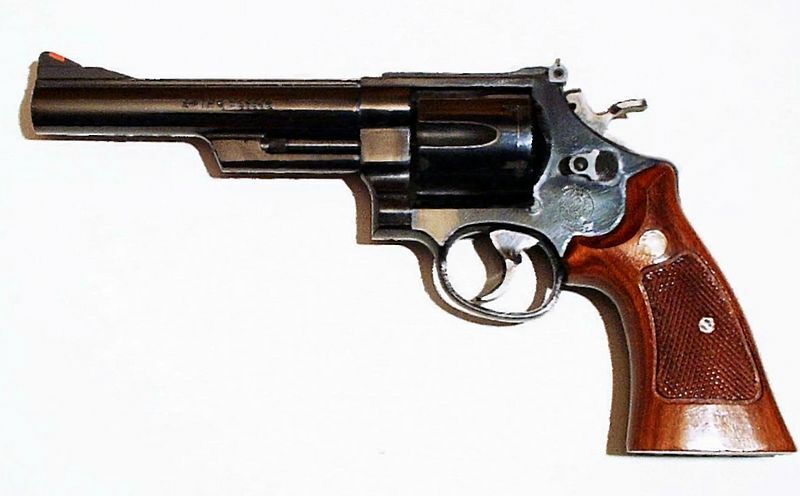 If you, like much of the world, became interested in the .44 Mag due to its cinematic roles, look no further than the Smith and Wesson Model 29. But that’s not the only reason to own one. The sights are excellent on this gun, and its trigger is well suited to rapid use. For those of you who love putting rapid holes in the target, there are few guns more fun to fire than this one. It is, however, a smidge more expensive than the Redhawk. No, Doom-fans, BFR doesn’t stand for “Big “F’ing Revolver”... but it may as well. BFR stands for Big Frame Revolver, and the Magnum Research BFR is certainly that. Its solid stainless steel frame is indeed heavy, but so is it also effective. We find this choice to be an excellent weapon for hunting, especially since beginners can easily learn to shoot it and experts can easily modify it to their preferences. It doesn’t hurt that the titular big frame comes with a pre-drilled section to slot in a scope. Despite the wildness of its name, the Raging Bull provides a unique security system that makes it considerably safer than the other revolvers on this list. If you’ve used a Taurus before, you know their safeties are no joke. 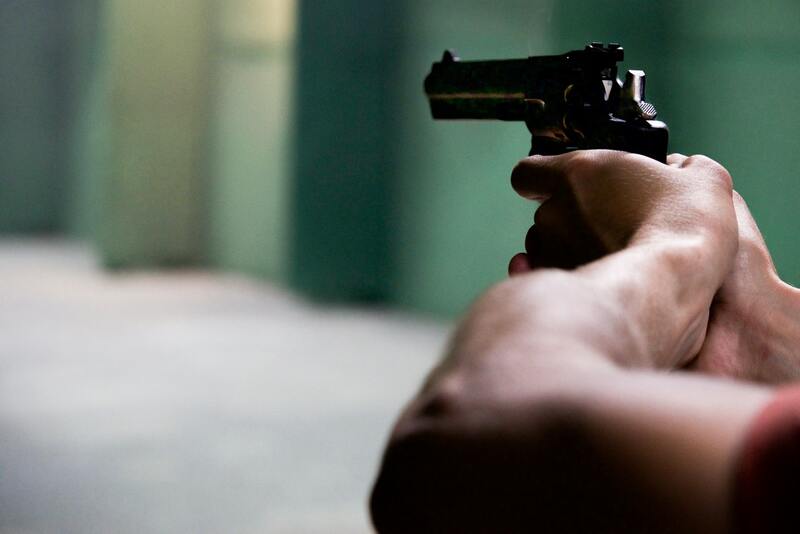 While we love the design and the fact that the Taurus costs $200-$400 less than the other entries on this list, we recommend that smaller shooters try this one out before buying. It has a lot of kick. 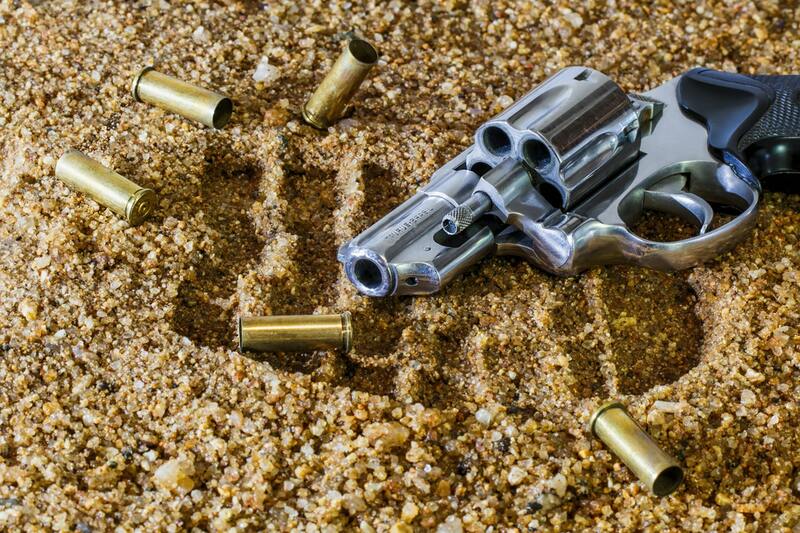 We hope this guide provided you with the information you need along your .44 Magnum journey. Now, whether you’re looking to buy your first revolver or just to brush up on some Elmer Keith related history, you should be much better equipped than you were at the onset. The .44 Magnum is one of the most unique and respected cartridges among shooting enthusiasts, and now you know why. Hey Buddy!, I found this information for you: ".44 Magnum Revolver: Everything You Need To Know". 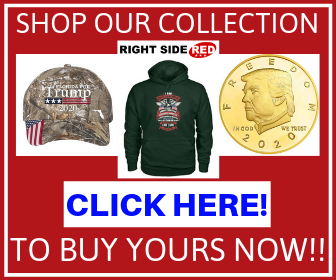 Here is the website link: https://thegunrights.com/44-magnum/. Thank you.